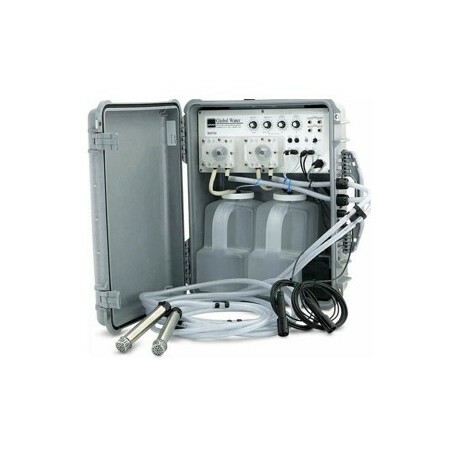 The model WS750 combine all the features you need to meet a wide variety of sampling requirements, including those for storm water, industrial discharge, water and wastewater treatment, waste collection systems, and rivers and streams. 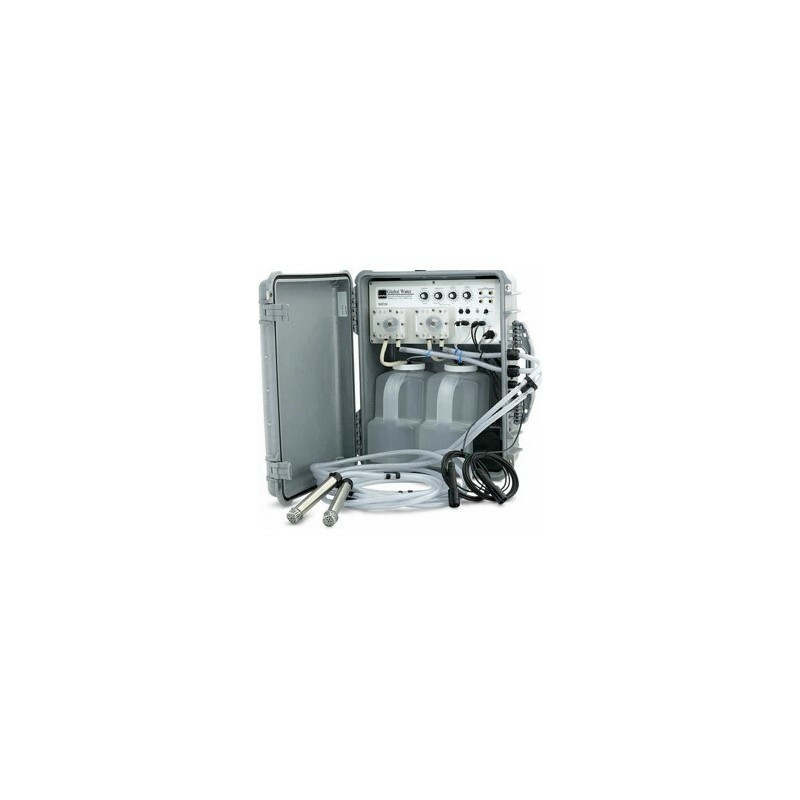 This unit has the ability to set the sampling mode for each pump and bottle individually. 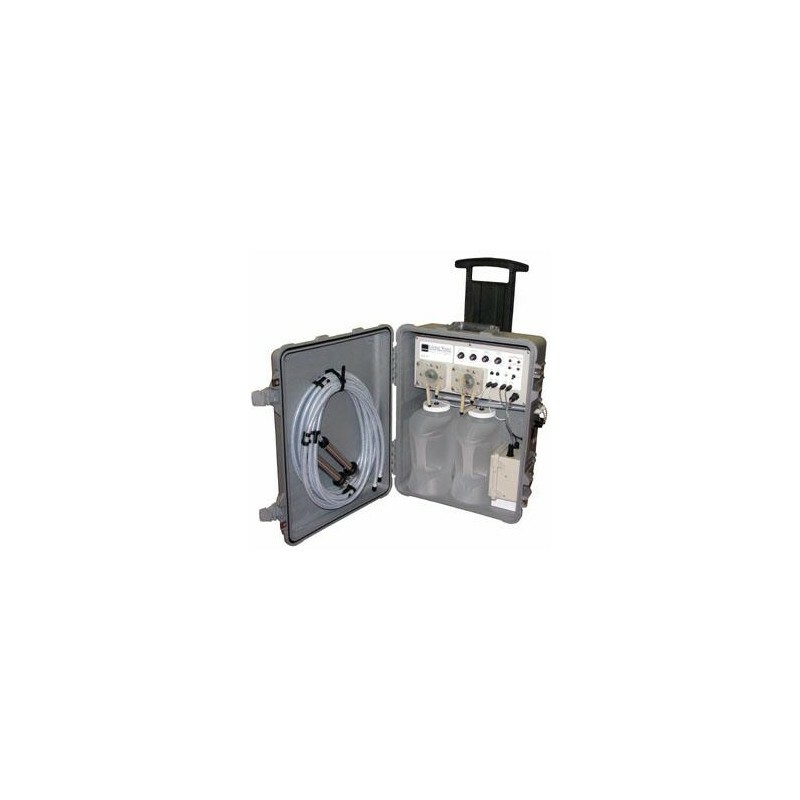 This allows you to take two individual time-weighted or flow proportional composite samples, or you can set the storm water/wastewater samplers to take full-bottle discrete (grab) samples, or you can set the storm water/wastewater samplers to take a full-bottle discrete (grab) sample in one bottle and a time-weighted or flow proportional composite sample in the other. In the case of two composite samples you can have different size settings for each pump.